Eleven words was all it took. Many scorned, and the nation was inflamed against Folau. Well, not the nation, but certainly that which touts itself as the proverbial mouthpiece of the nation – the media. The immense backlash against Folau in article after article has shown that his comment has tripped more than a nerve. Particularly within Fairfax Media; where it has generated such furore, that since his initial comment on the 3rd of March, they’ve have published well over eleven articles that in some way condemn Folau. This backlash is certainly insightful. Indeed, retaliatory comments made in the wake of Folau’s are demonstrative to the keen-eyed observer of the future of religious conversation in the public sphere. Namely, that we ought to expect an acidic militancy, reserved for either specific religious segments, specifically within Christianity, that don’t square up with the desired societal narrative, and for those who dare express them. After all, Folau’s comment, despite being overly brief and lamentably not better qualified, was not itself a theologically inaccurate statement. No, rather, it is a statement that is well within Christian orthodoxy. Being not only firmly rooted throughout the tapestry of Scripture, but further attested to by almost 2,000 years of Church history. Homosexuality is considered a sin, a transgression against God, but only as one sin among many. And, like all sins, we are called to repent (confess our wrongdoings and abandon the behaviour) and embrace God and His ways, through faith in Christ – the only way to God the father and the only way to avoid hell. Is it God’s desire for anyone to go to Hell? Not at all. However, it is God’s plan that those who are unrepentant will face both judgement and His wrath. That this message invokes hostility is certainly unsurprising. After all, there’s not a single reason as to why we ought to think that this message will not be offensive to a people who refuse to be held accountable to someone, or something, other than themselves. Certainly not to a Creator who demands, and rightly deserves, their wholehearted allegiance. Nor should we think that such a message would be accepted or embraced by Australians as it were by the citizens of Nineveh during the time of Jonah. No, we are living in a time more restricted than even the antagonistic Athens of Paul’s time. Whilst there is a plurality of voices, there is one thing that unites the chorus – that the Gospel is both foolishness and something to be mocked. This statement beggar belief. How an individual can be told that they are entitled to both their beliefs and the liberty to talk about them whilst then, in the same breath, being told that the recent comment they made, one informed by religious beliefs, is a comment too far, raises the question — what then is an appropriate comment? Certainly, it cannot be one informed by their beliefs if it goes over the threshold of which is deemed acceptable, and certainly if such inappropriate belief is held or believed, then it cannot be shared. Even when prompted, as is the case in Folau’s situation, a fact which surely cannot be emphasized enough. Yet, this is what is now considered correct religious discourse — and to go against this will potentially incur repercussions to the speaker. This is, perhaps, the most worrisome observation from the recent fury aimed at Folau. That because Folau plays for the Wallabies, his comments, whether intended or not, reflect upon Rugby Australia. As such, Rugby Australia have been aggressively lobbied to discipline the footballer for voicing his opinions on an area that had he expressed the opposing opinion, he would have been notably praised. Sadly, this observation is but part of a larger trend, with Folau being the latest of several Christians who have had their careers and livelihoods threatened for holding, or voicing, opinions which have been deemed as going against the socially correct grain. This raises the further issue, which is something that all Bible-affirming Christians will have to be cautious about: Will voicing things in private, or on mediums normally attributed to the private sphere but publicly accessible (i.e. social media), or through simply responding to inquisitive individuals, mean that Christians may risk their careers as they are also individuals representing, or seen as associated with, their employer? Will, say, the Christian employed as a Sales Representative, a vocation seen as a face of a company, need to be concerned that he could face being reprimanded because he dared raise an oppositional perspective in a ‘private’ setting witnessed by another? Or could individuals that, during the 2017 Australian Marriage Law Postal Survey, made remarks or acted in a way that affirmed the traditional and God-defined understanding of marriage face consequences for having done so? Or, more realistically, could they experience such a thing if they were to do so again in the future? Perhaps, we’re moving into a time where this is no longer a matter of if, but when? If anything, the recent events involving Folau evidence the absolute imperative for churches to ensure that their congregants are equipped with the tools they need to spiritually thrive in an increasingly antagonistic landscape. Tools that help them understand precisely what it means to have their lives and allegiance belonging to God, and not subordinate to social niceties or preferences. Tools that help them have confidence in God’s word, and courage to help them be able to present it. If Christian leaders fail to do this, either due to inability or unwillingness, then they are doing the body a catastrophic disservice. One that will leave churches and people both impotent and unable to properly interact with the public sphere in any substantial way. While many will lament at Folau’s choice of words when responding to the query. I hope that we can, at least, acknowledge the conviction and courage that Folau had in airing them. Let us hope that we ourselves, our churches, and our fellow Christians, may have the courage to stick to our beliefs and have the ability to articulate them in a way which leaves no room for doubt as to what we are trying to say, even if it falls afoul of what the Aeropagus demands. Brett is a a miserable sinner redeemed by God’s abounding grace. 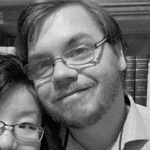 He is the husband of Lucy, and a Reformed Baptist who blogs over at acovenantalbaptist.net Brett has a keen interest in Church history, and is undertaking postgraduate research in historical theology.